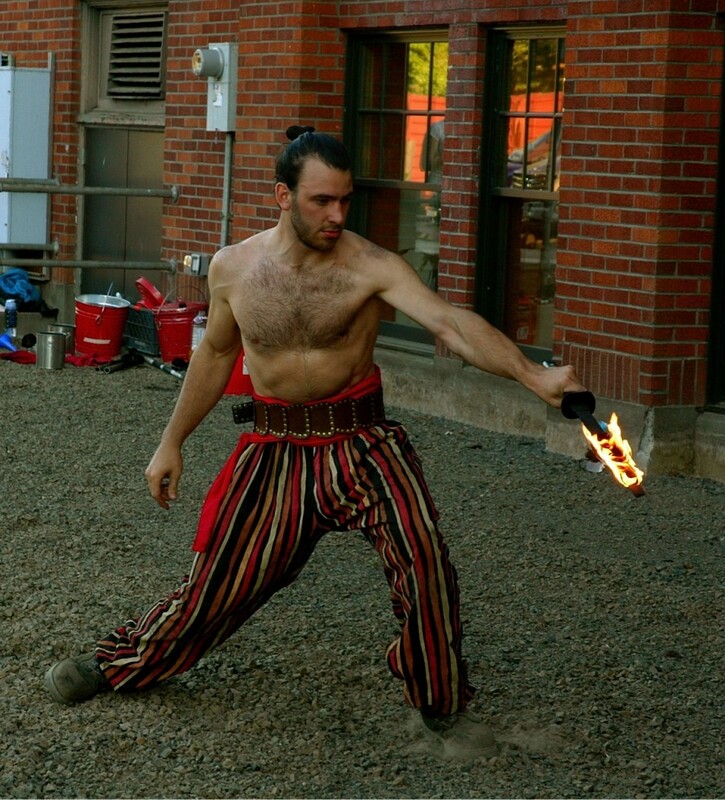 Fire performers using swords are always high-energy entertainment. 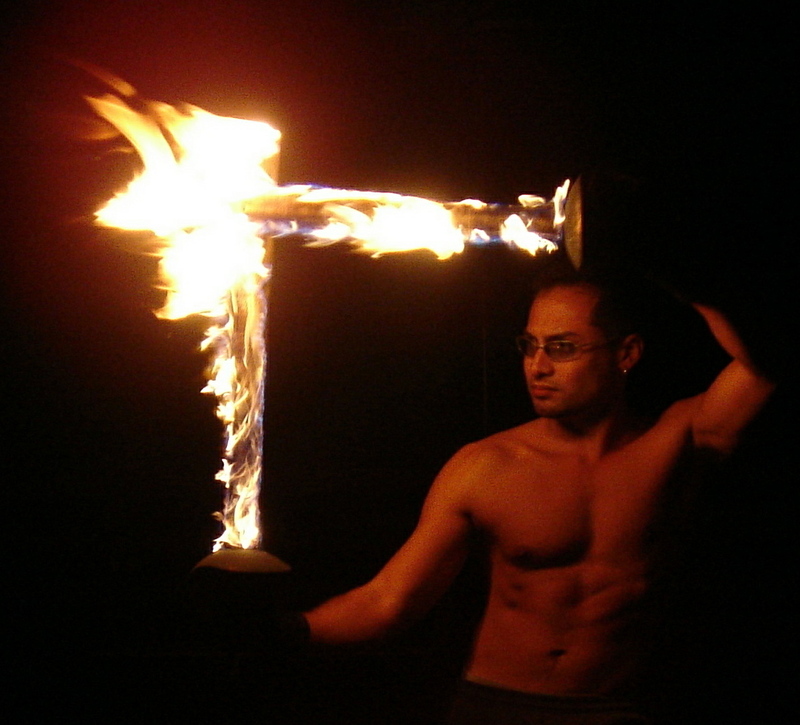 Fire sword dancers employ various disciplines into their fire shows. 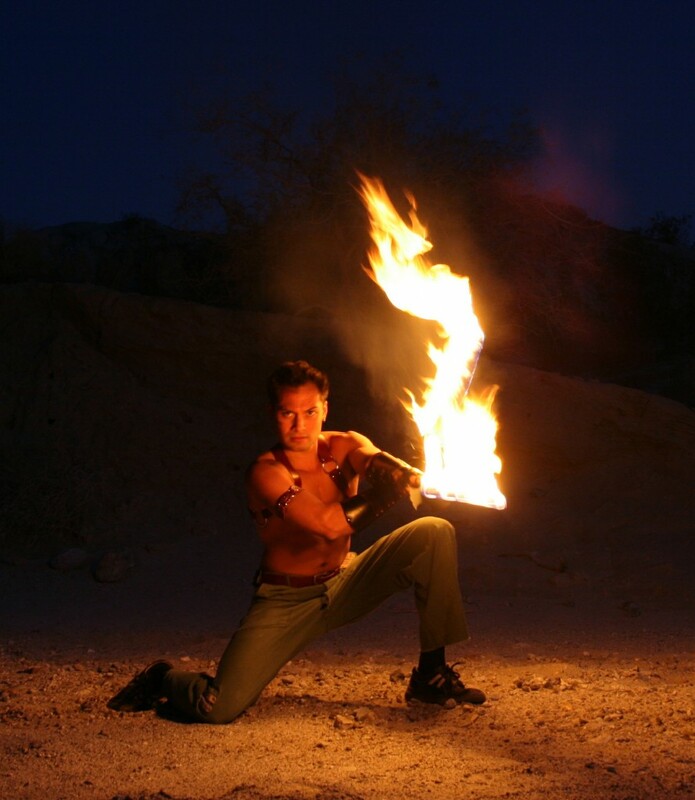 From martial arts to modern and tribal dance, these fire artists get every crowd going. fire performer duos can also stage choreographed fire combat segments within a larger fire show. Fire belly dancers can balance fire swords on their heads, shoulders and hips while they belly dance.